Are you looking for a reliable and cheap man with a van hire in Brixton? If so then look no further! 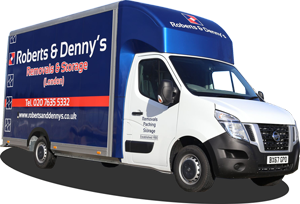 Roberts and Denny’s are a man with a van Brixton removal company who have been providing professional removals services to happy customers across London since the 1930’s. When it comes to man and van hire in London, we’ve earned a reputation for delivering trusted and affordable home moving and removals services that are hard to beat. We set very high standards and follow a strict code of practice to make sure our moving services and reputation as one of London’s top removal companies is upheld. Our expert removals and moving home teams can work on a variety of properties and premises. We specialize in all aspects of domestic removals and commercial office removals. If you’re in need of a fast and efficient removal service in Brixton and surrounding areas, then you’ve found the right company. From our local depot in Peckham, we operate a large fleet of removal vans and lorries that allow us to take on a wide range of removal jobs and contracts. Our friendly team will visit your property, assess your requirements, furniture and other belongings before putting together a competitive removal quote. We will advise you on all aspects of ou can get the ball rolling in no time at all. All our staff are fully trained, as well as extremely friendly, allowing us to take any stress away from the moving process and put our customers’ minds at ease. With comprehensive insurance covering loss, damage and negligence up to £50,000 on home removals and £100,000 on office moves, your possessions really are in the safest hands. Call us on 020 7635 5332 for more information on our Brixton removals services and to arrange your residential or office removal. If you would like our friendly office team to contact you please fill out our online contact form. 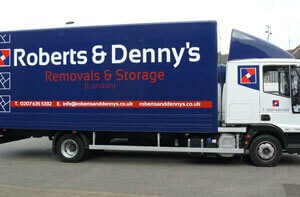 Why Choose Roberts & Denny's Removals Brixton? Are you a student looking to move in Brixton and the surrounding area? Hiring a professional man with a van company could save you money. Sometimes home movers don’t need to use large HGV vehicles to move their belongings across London. In fact most of our man and van hire customers tend to be students and people living in studio apartments or house sharing. Our fleet of removal vans can hold a large amount of goods and transport your belongings speedily and safely across London in no time at all. At Roberts and Denny’s we will always make sure we provide you with the most cost efficient solution for your needs. If you need us to do the loading and heavy lifting, no problem. If you want to keep costs down and do the loading yourself, by all means you can. Please visit our Man with a Van London Pricing for more info and about our removal services in Brixton.